mmc.exe is a legitimate file, which is also known as Microsoft Management Console Application. It is used for displaying various management plug-ins that are activated from the Control Panel. It is typically located in c:\windows\system32 file path of your computer. Malware authors write malicious programs and name them after mmc.exe to spread virus through the internet. How to check if your computer is infected with mmc.exe malware? Step 2: If you notice the file located outside its designated path in c:\windows\system32, you should run an antivirus scan to get ride of the malware. How to remove the mmc.exe file from system using Comodo Free Antivirus? 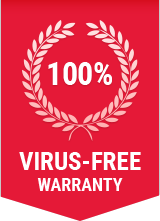 Step 1: Download our award-winning Comodo Free Antivirus. Step 8: Comodo Antivirus will remove the mmc.exe virus from your computer including all other malwares!